Are you looking for a fun, easy activity for your kids this summer? Why not make geodes? A geode is a rock with a surprise inside. They are partially hollow inside and lined with sparkling mineral crystals. In nature, it is thought to take hundreds of millions of years to create. However, these imitation geodes will just take a week. 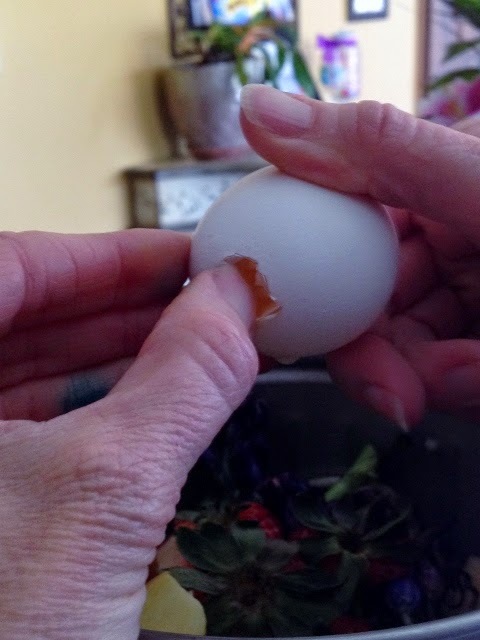 First, crack each egg near the narrow end and remove a small portion of the shell at the top of the egg. 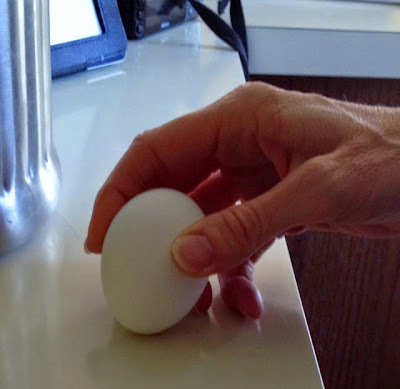 Pour out the contents of the egg and discard. 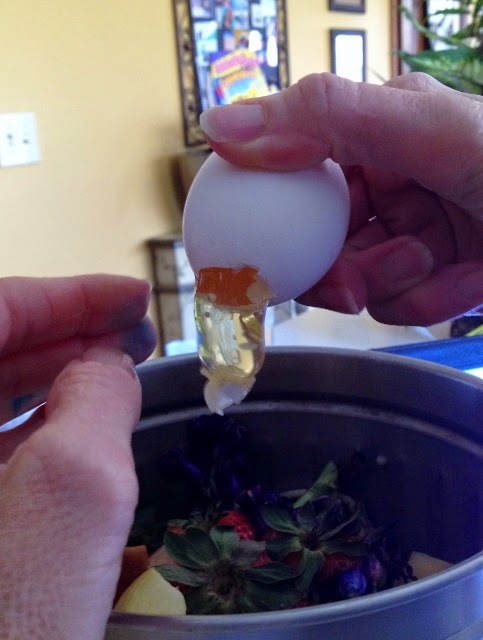 Pour the water mixture into each egg. 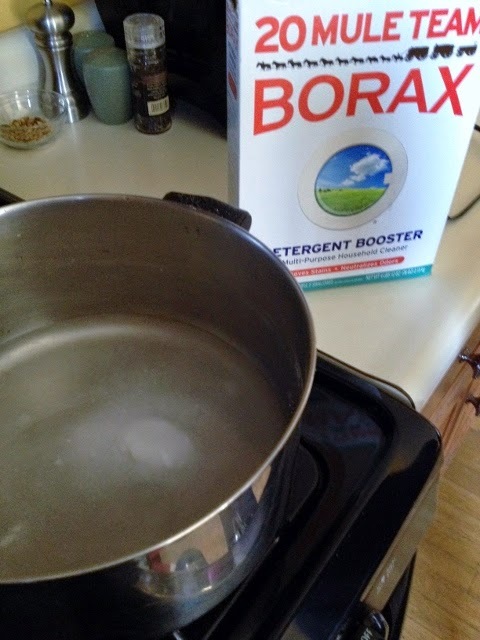 Allow the water to evaporate over a few days to a week. All the water may not evaporate. If this is the case, pour the extra water from the shell. 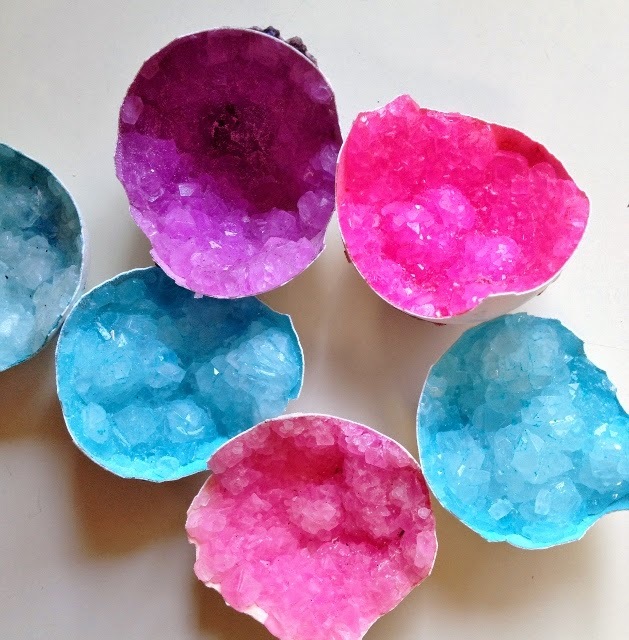 Let your kids crack the shells open to find their geodes. As the water evaporates from the eggs, Borax crystals deposit on the sides of the eggs creating geode eggs. 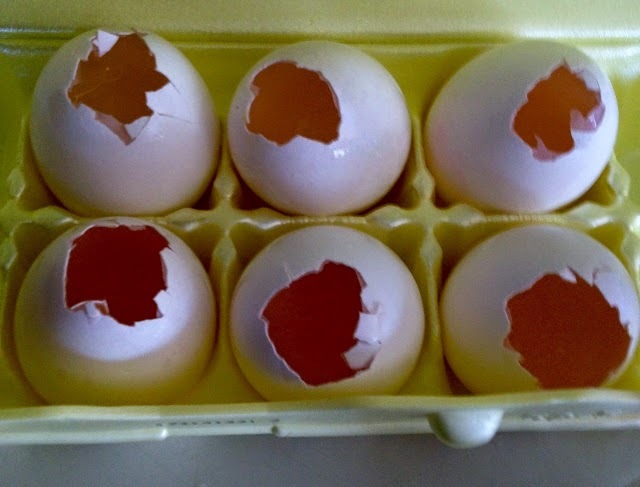 The geode egg is very similar to an actual geode. These look like fun. 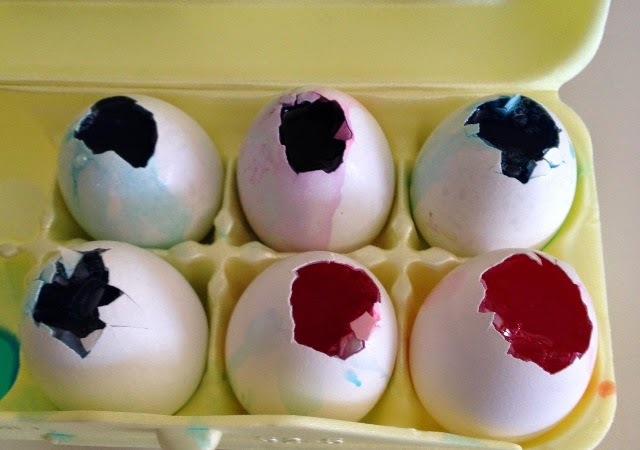 Great science project for our homeschool.